Alex Macken received his Doctorate of Physical Therapy from Grand Valley State University. He treats general orthopedic and spinal pain conditions utilizing primarily orthopedic manual techniques. 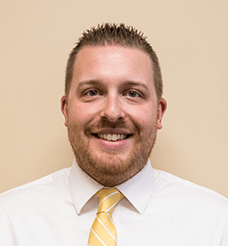 Alex is currently completing his post doctorate certification in orthopedic manual therapy through the North American Institute of Orthopedic Manual Therapy and will be enrolling in their manual therapy fellowship in Fall of 2018. He has been practicing as a licensed Physical Therapist for two and a half years. Alex’s hobbies and interests include: Fly fishing, playing with his Springer Spaniel puppy, and spending time with his wife and family.